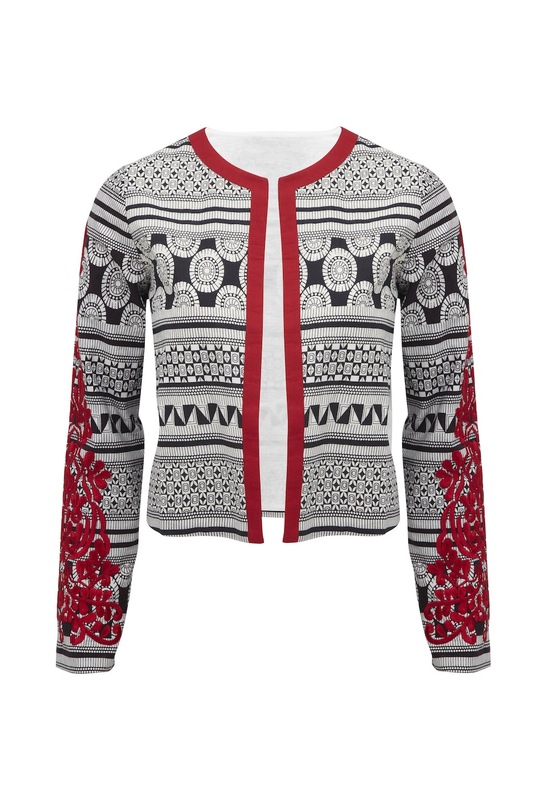 Lets be honest, everyone wants a piece of Isabel Marant at the moment. It started with the heeled trainers (that kind of caught on - !) for the general high street, but anyone worth their fashion in gold remembers the prints and the jacquard stitching that Isabel has been doing for years. The fashion house was one of the first to mix sharp tailoring with that kind of Sienna Miller boho look. At first, it wasn't really me - I brushed my hair too often for a lot of the Marant muses - but when the French Vogue team started wearing more and more of the label I got interested. Isabel Marant SS13 is a brilliant mix of lightly printed boho basics with startling reds and blues. Unfortunately for the designer (but arguably luckily for us) getting the Marant look really isn't hard. For example, we all found similar navy pea coats, and cowboy detailed shirts (this one here is a fab 2013 jacket version) in the winter season and searching for similar shoes to a Betty or a Bobby isn't a hard task. This season is no different and I've found a dead ringer to the runway style at ASOS, below. 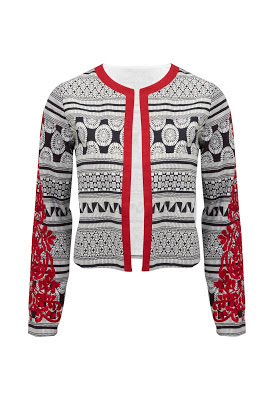 This little jacket is identical to the ones worn by the models in Marant's SS12 and SS13 shows - and it has the red detailing as in the SS13 show above. No doubt will sell out like hot cakes, I ordered mine this morning... Quick! Ah, Isabel Marant, my favorite of all time! Each season she surprises me, I would wear every single piece in her collection. The SS13 collection is again too beautiful for words. 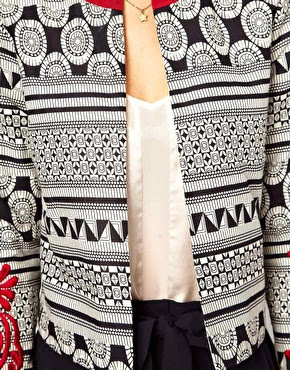 Aah i'm supposed to be saving but I simply adore this jacket. It would be just gorgeous with skinny black denim, a pretty white camisole and lots of trinket-y pendants and bracelets. Must resist... Must. Resist. 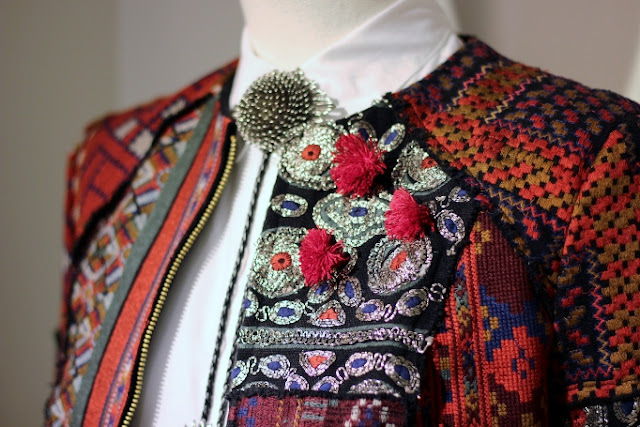 This is a great jacket, but sadly the link doesn't send you to the embroidered sleeve version, which I can't find - please relink so we can all purchase! I love these patterns. That jacket is beautiful, just within budget!